5x7 glass negative from the C.M. Bell portrait studio in Washington, D.C.
Circa 1896. "Mercer, baseball." 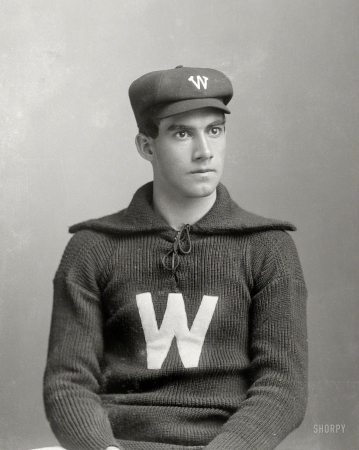 Washington pitcher George Barclay "Win" Mercer (1874-1903).